All I’ve got to say is: WOW. Is this the next Three Wolf Moon? Pug Face is available now from Tams Treasures. Hat tip to imgur (Thanks, Scott!). Great find. I thought I was looking at moobs first of all. Oh god. I don’t think there exists a model for this shirt. 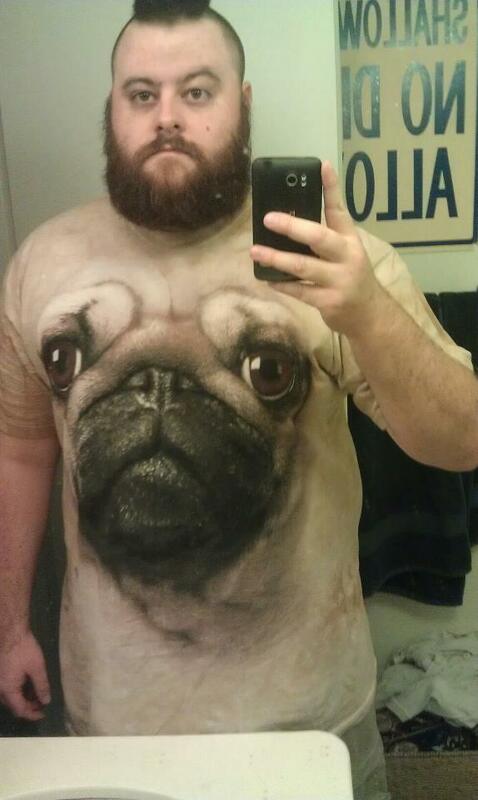 Love this pug t shirt, got a friend who has an obsession with pugs including 2 of his own so may get this for his xmas present! Glad to see people dig this shirt and obvious I couldnt imagine anyone wouldnt dig it!